Just because the kids are back in school, and everyone is back at work, does not mean that the summer is over and we should stop having fun . Everyone knows by now, that the weather will only get better over the next few weeks, it’s always the case when the kids return to school. 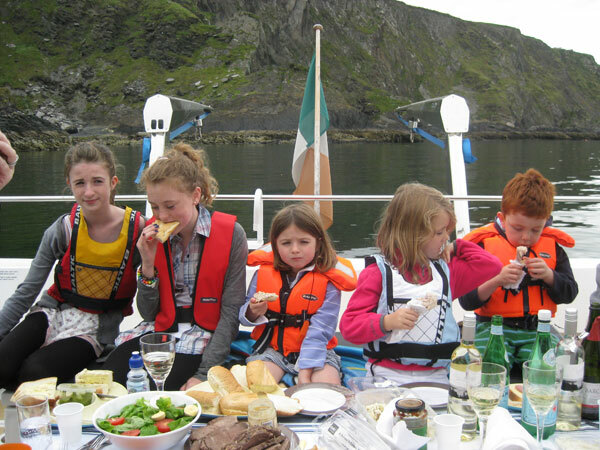 Why not pack a picnic basket and give us a call, to take a cruise at your own pace around Kinsale Harbour. It is so much fun. If you can’t make it over the next few weeks, don’t panic we run charters all year round.